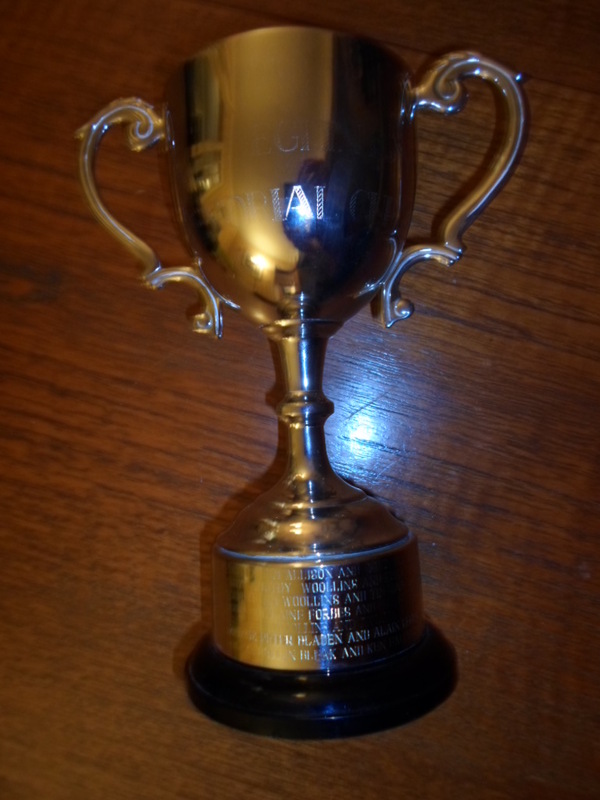 The Eglinton Cup was established in 2006 in honour of long serving club member, David Eglinton. David was an integral part of the club from its early days in the late 1960s and represented the club competitively for over 20 years from its first season in the Dundee league in 1977. 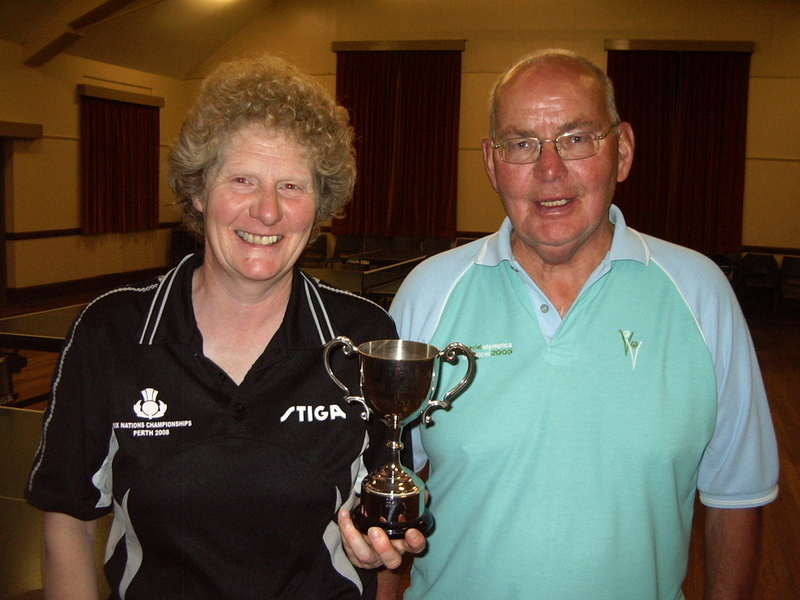 He was an important member of the Swots team that progressed up through the divisions starting in Division 7 and reaching Division 1 in 1982. David is fondly remembered for his awkward style that would frustrate opponents as he found difficult angles using a sandpaper bat. 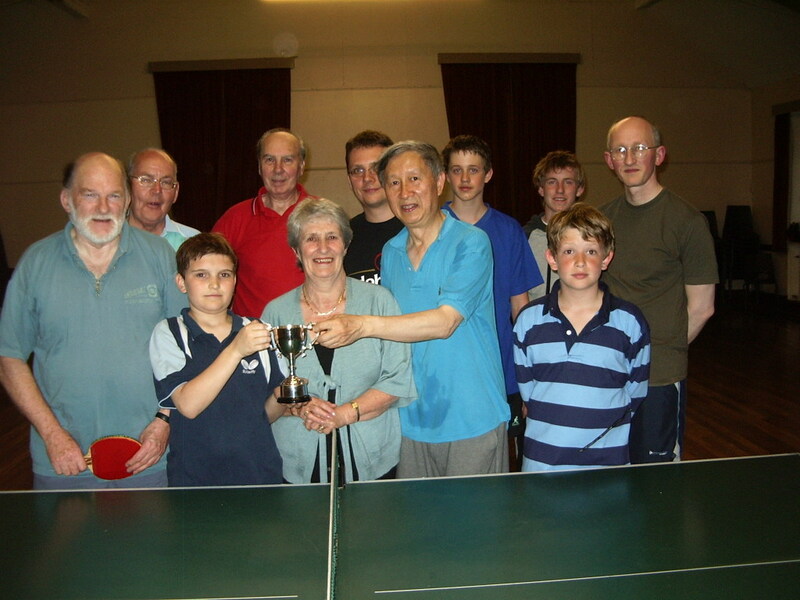 The Eglinton Cup is competed for annually by players involved in St Andrews Table Tennis Club. 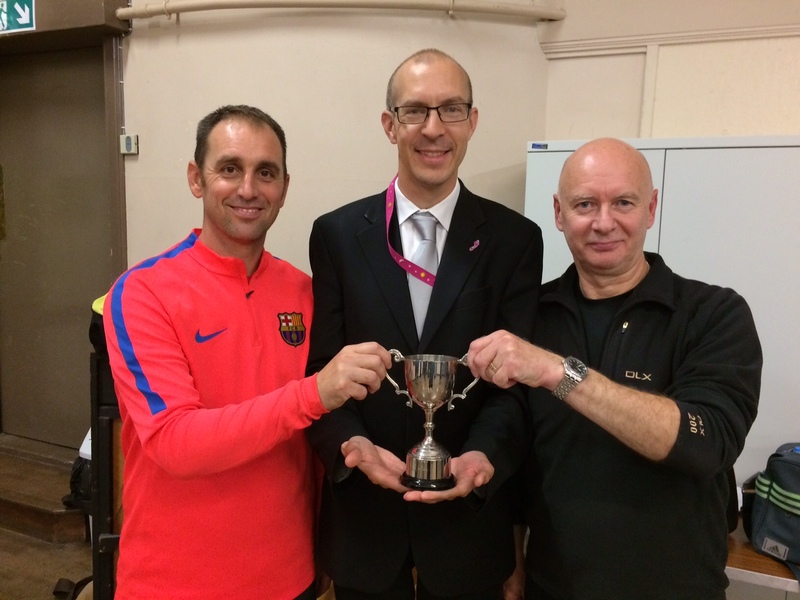 Competitors are divided into teams of two and each given a handicap to reflect ability levels and to give everyone an equal chance of winning. 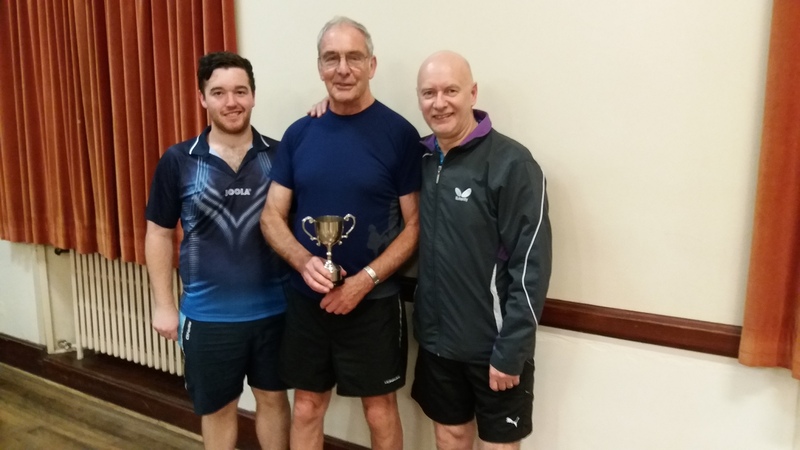 Typically the teams are then split into two groups and the teams in each group play both doubles and singles matches against other pairs. 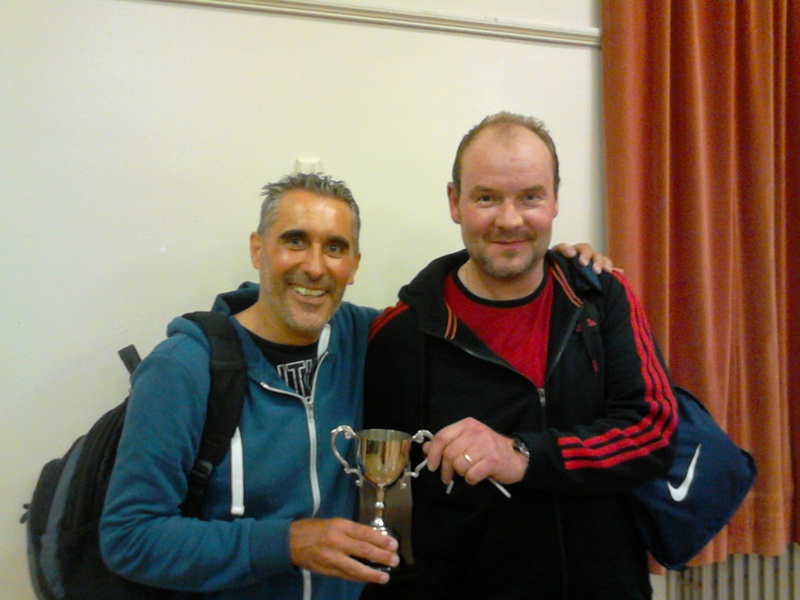 The winners of each mini-league go on to the final. 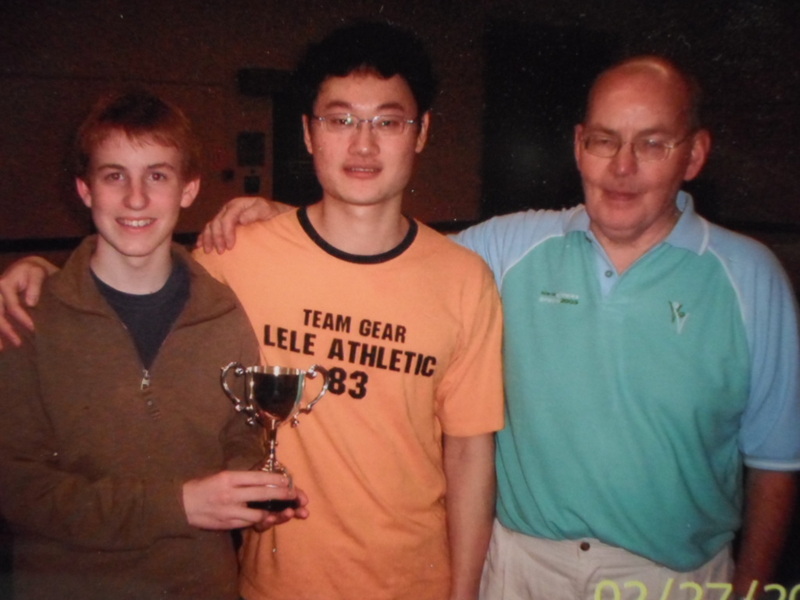 The inaugural tournament took place on 27 February 2006 and the very first winners were the team of Calum Allison, a young player from St Andrews, and Benny, a Chinese postgraduate student. 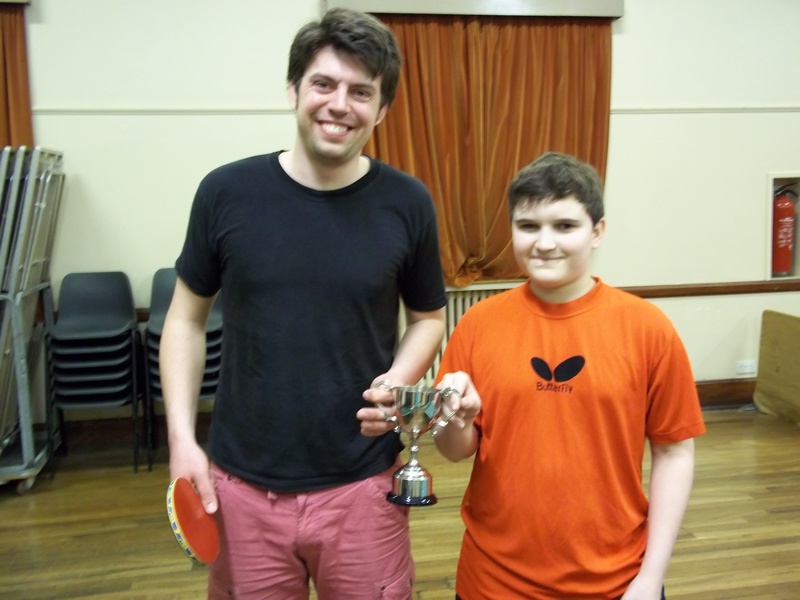 Benny had attended a table tennis academy in China and represented Guangdong province at junior level. 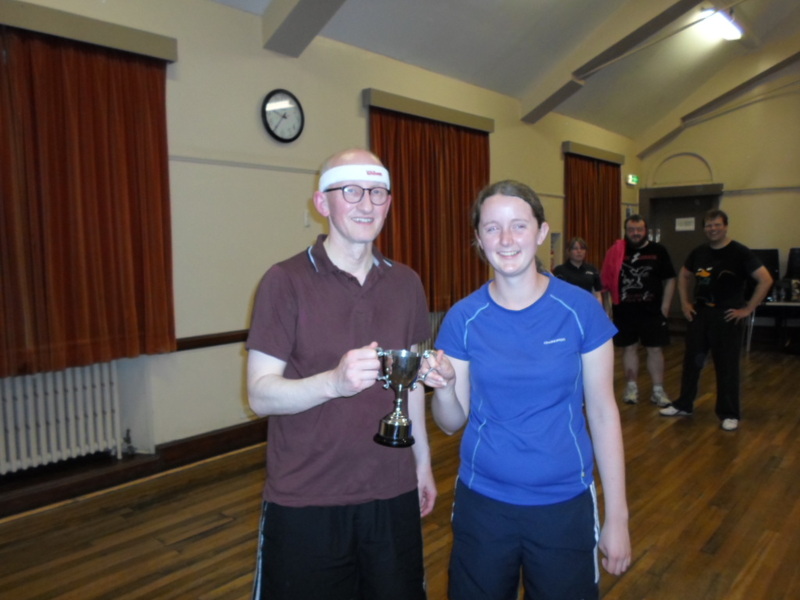 The runners-up were Elaine Forbes and Graham Neilson. 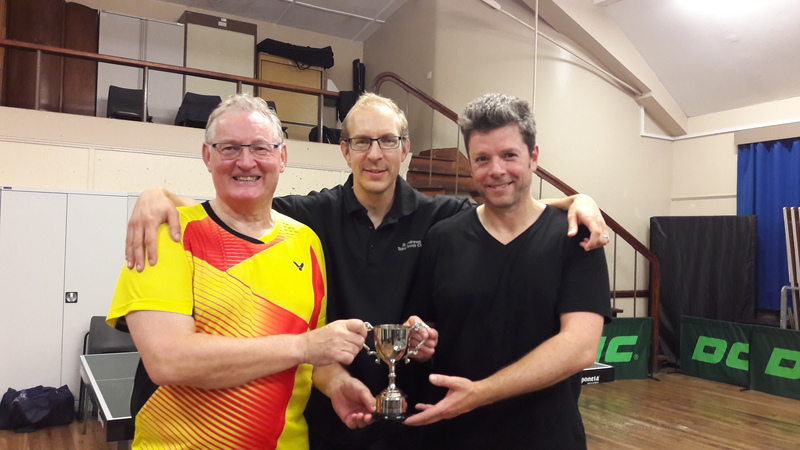 The most successful ever Eglinton Cup players are Tim Woollins and Dave Beveridge who have both had their names engraved on the trophy three times in four years, on each occasion with a different partner. 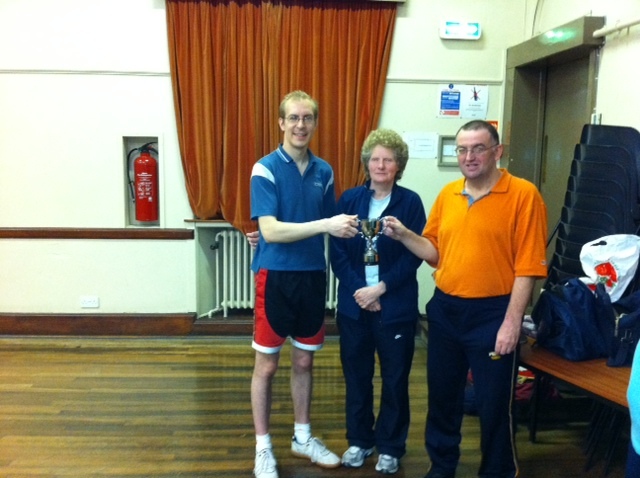 Tim is also notable for holding the club record for the most biscuits consumed during a table tennis match. 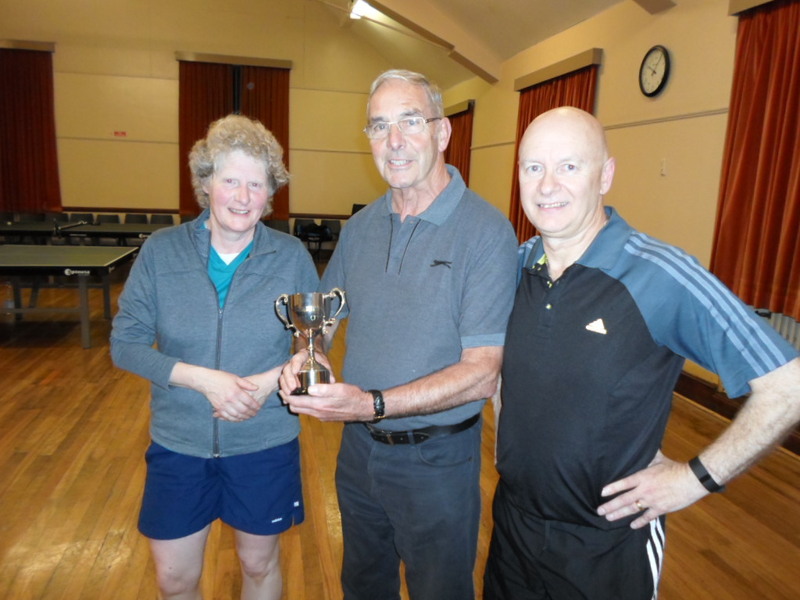 Elaine Forbes and Dave Beveridge, winners of the Eglinton Cup in 2015 are presented with the trophy by club chairman Neil Lea (centre).